Home › Cydia iOS 10 › How to jailbreak iOS 10.0, 10.1.x, 10.2. using YALU. Hi my dear friends warmly welcome to all of you to Apple world. Today I am going to show you how to jailbreak iOS 10.2 on your iDevice. Few weeks ago great well known Luca release jailbreaking tool for iOS 10.2.we will see how to upgrading your iDevice using new tool. Known as Yalu 102. First of all let us see what are the supported devices and firmware to the process. All 64-bit iPad models running iOS 10.0, 10.1.x, 10.2. Important …….. : You should know 32-bit iOS devices are not supporting for this jailbreaking. Now we will see how to jailbreak clearly, here is what you need right now jailbreaking iOS 10.2 on a supported iPhone or iPad. Here is step by step how to jailbreak iOS 10.2. Step 01 – Download yalu102 tool from here. Step 03 – First of all connect your compatible iDevice to the computer using data cable. 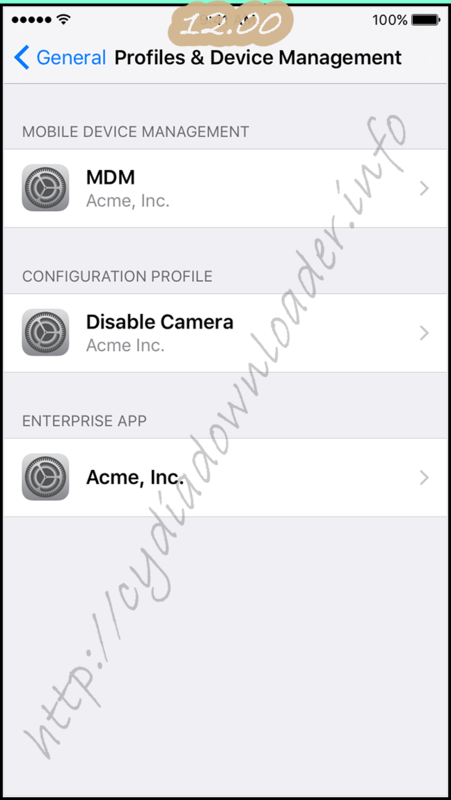 Step 04 – You should remember back up your any amported and personal data using iTune or iCould. Step 05 – Now launch cydia impactor on your computer. Step 06 – Then drag and drop the yalu102 IPA file on to the cydia impactor. Step 08 – You have to wait some time for Cydia impactor to install the yalu102 jailbreak app onto your iDevice. Step 10 – Now launch the Yalu102 jaibreak app from the home screen. Yalu will says that your device may slow down, don’t be afraid go ahead and click on “OK” to continue. Then you have to wait for few second and follow the guide line you prompt. After cydia will show up on the home screen on your iDevice. Unfortunately if cydia dosent show up the home screen, run once again yalu102 app and try again. Congratulations my dear friends you have successfully jailbroken your iDevce up to iOS 10.2. You can see screen shot bellow. ‹ Jailbreak and Download Cydia for your iOS 9.0 to 9.1.0 with Pangu. I have noticed my iPhone 6s Plus slow down quite a bit to the point that I have rebooted to speed it up a bit (not having the JB active), however while Jailbroken, the touch id gets spotty and my bluetooth tends to disconect after a 2nd or 3rd call ( which is annoying). did you follow my instruction?